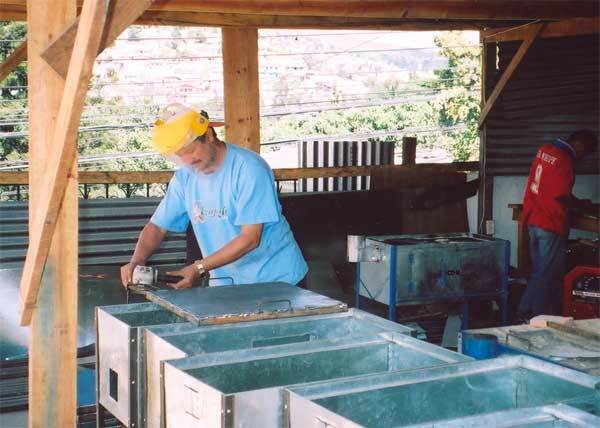 Things are really taking off at our Honduras micro-enterprise project with AHDESA. We finally received the $25,000 from Rotary clubs and RI to spend on stove materials and for tools and equipment for the three metal shops - Ricardo Cruz, Marven Cordova, and Mario Nunez - Dona Justa's son. That had been holding back our production. Now, we will be able to produce 40 - 50 stoves/metal shop/month + the stove production from AHDESA's shop. AHDESA has had four TV interviews over the last month, and people are constantly calling or visiting the AHDESA office to look at or buy stoves. Suprisingly, the more expensive EcoHorno (Ecostove with oven) and the EcoTortillera (an EcoStove with a larger griddle) are more popular with the general public than the EcoStove so far. 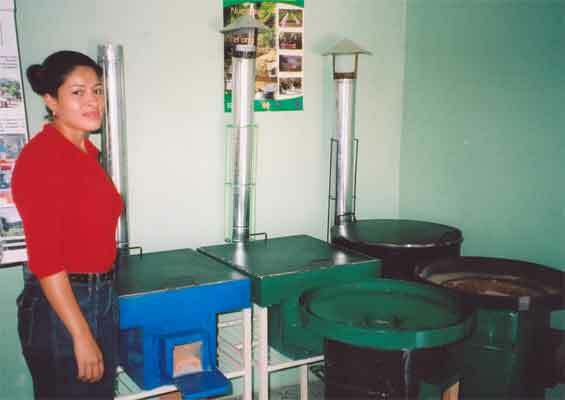 Sending a picture of the EcoStove production at the AHDESA shop/office.